New Color 1000 is slimmer, lighter, and more efficient than the original; sports ‘Designed for AllSeen’ certification. UPDATE: We now have a complete hands-on review of the LIFX Color 1000. LIFX told its customers last week that it was going to lift the curtain on something “new” very soon. That something is the Color 1000 smart LED bulb. 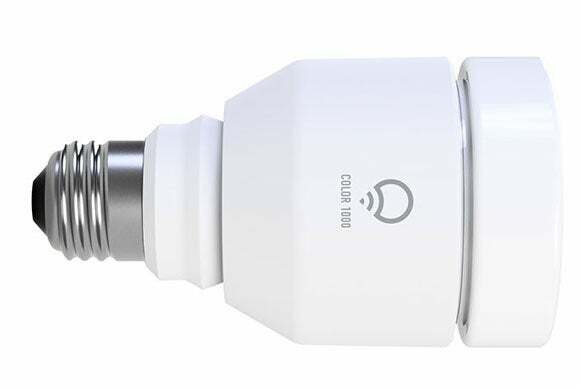 The Color 1000 replaces the LIFX Original, the Wi-Fi color-tunable LED bulb that this Aussie startup’s first product that we reviewed in April. It’s an evolutionary upgrade that retains pretty much everything there was to like about the first-gen model, while making a handful of key improvements. The first change you’ll notice is the Color 1000’s smaller size. It comes in the more standard A19 form factor, whereas its predecessor was an A21-sized colossus. According to the company, this change renders it compatible with a larger number of lamps and fittings than the original. What’s more, it’s also almost 20-percent lighter at around 8.5 ounces. The new bulb’s technical specs remain largely unchanged. Just like the original, the Color 1000 allows you to cycle through 16 million colors including 1000 shades of warm to cool white. It can put out up to 1055 lumens, which is only a nominal improvement over its predecessor’s 1017 lumens. It is considerably more energy efficient, on the other hand, consuming just 11 watts at peak brightness versus the previous model’s 17 watts. LIFX says its Color 1000 is the world’s first color-tunable bulb to ship with “Designed for AllSeen” certification. This means it’s compatible with the AllJoyn networking standard developed by the AllSeen Alliance, a nonprofit consortium dedicated to enabling interoperability among devices and services that make up the Internet of Things. The cross-industry group has more than 150 members, including ADT, Cisco, Microsoft, and Qualcomm. Why this matters: LIFX has further refined what was already one of the better color-changing LED bulbs on the market. 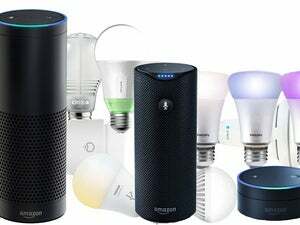 The switch to the more popular A19 form factor should help put a stop to chronic complaints from customers about the company’s flagship bulb not fitting many lamps and fixtures.